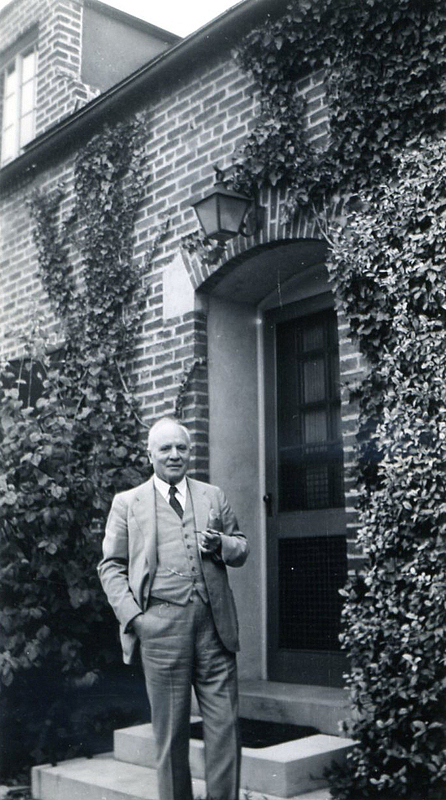 In 2002, the medieval art historian David Wright published an article on one of Dumbarton Oaks’ first senior research fellows, Wilhelm Koehler, who worked at the institute between 1941 and 1944. In that study, “Wilhelm Koehler and the Original Plan for Research at Dumbarton Oaks” (in Pioneers of Byzantine Studies in America, edited by John W. Barker [Amsterdam, 2002], 134–75), Wright characterizes Koehler’s impact on research at Dumbarton Oaks as tremendous and states that Koehler charted the institute’s academic program during its formative years. Wilhelm Koehler was born on December 17, 1884, in Reval, Russia (modern Tallin, Estonia). He studied art history, completing his dissertation in 1906. In 1932, he became the Kuno Franke Visiting Professor of German Art and Culture at Harvard University. After Harvard’s medieval art historian, A. Kingsley Porter, died in a drowning accident in 1933, Koehler was chosen to replace him. At the inauguration of the Dumbarton Oaks Research Library and Collection on November 1–2, 1940, Koehler gave one of the inaugural lectures, “Byzantine Art in the West,” which was subsequently published in the first volume of Dumbarton Oaks Papers. As to the second of the Colloquium meetings organized by Prof. Morey for the discussions, among a small group of scholars, of problems taken from their work, or from that of the D.O. junior fellows, Miss Florence Day spoke about the glazed pottery of Mesopotamia in the Parthian Period. Her talk was illustrated by photographs and drawings from her own notes, thrown on the screen by means of our new lantern which can project opaque objects as well as normal slides. Miss Day speaks clearly and with assurance, and made her points well. A lively discussion developed afterward, in which Myron Smith, Dr. Holland and Professor Morey took part. Miss Day answered their questions ably and made an excellent showing throughout. One of the main points in her description of Roman-Syrian wares related to the so-called Parthian pottery was illustrated by the lamp from the attendant’s desk at the main entrance to the new wing! We removed shade and globe and had it in a place of honor as Exhibit A. There is a resulting uneasiness in the thought of so really good an object being subject to the hazards of its exposed position. A part of each Fellow’s time is devoted to his own individual investigation; the rest of his time is spent on a clearly defined central plan of research, and this central plan constitutes the backbone of our scholarly activities. It has been decided to undertake simultaneously two collateral and interdependent projects, the one devoted to the written sources, the other to the monuments of the period. The first of the two projects, the collection of the sources with a view to future publication as “Fontes” of Byzantine art, requires no detailed explanation. A brief comment on the second project may be of value in illustrating the organization of that part of our research work devoted to the monumental remains of the period. A portion of the Roman Empire is assigned to each Fellow. In the course of his work, he becomes thoroughly familiar with the peculiar artistic dialect of the region and its development during the period in question. In regular meetings presided over by the “Senior Fellow in charge of Research,” reports on the progress of the work in each region are given. These meetings offer the opportunity for a continuous exchange of views and discoveries between the Fellows who are obliged to relate their material to the background of contemporary developments in the regions. The accumulated evidence resulting from these studies and discussions—a critical and detailed summary of all available information concerning each monument and photographic reproductions of all pertinent illustrative material—is filed at Dumbarton Oaks under the name of “Archives of Byzantine Art.” In the progress of the work, the assembled archaeological data will be integrated with the collateral project, the “Fontes,” devoted to the collection of the written sources. You can imagine with how much interest we await the gen­eral result of Prof. Koehler’s visit. He will give great in­tellectual stimulus to the staff and one likes to think that he is going to be closely interested in Dumbarton Oaks. You won’t forget, will you, that Focillon does not agree with Koehler’s approach to his subject and that it is Focillon who seems to us to have the Golden Key. You know how I feel about Koehler and I hope that as you get to know him better that you will think that perhaps he, too, may have a golden key, if perhaps of a slightly smaller size! The Committee has learned with regret of Dr. Koehler’s decision to withdraw from the Board of Scholars and as Senior Fellow in charge of the Archives, especially as the Committee fully appreciates the important contribution he has made to the work at Dumbarton Oaks in his inauguration and direction of the Archives. In view of his emphatic statement to the Chairman, the Committee can only accept Dr. Koehler’s decision and will proceed to make arrangements for the coming year accordingly. On May 6, 1944, Koehler wrote to Dean Buck on the Administrative Committee explaining that his decision to end his involvement with Dumbarton Oaks and the Archives project was in no way shaped by “petty arguments,” but rather because he believed that the Archives project (which he said was “well advanced and bearing its first scholarly fruits”) would now be “doomed to failure” under the influence of the Administrative Committee. Witnessing the end of his program for collaborative study just as it was beginning to show clear signs of success devastated Koehler. However, he would remain affiliated with Harvard: he was named William Dorr Boardman Professor in 1950 and retired emeritus in 1953. 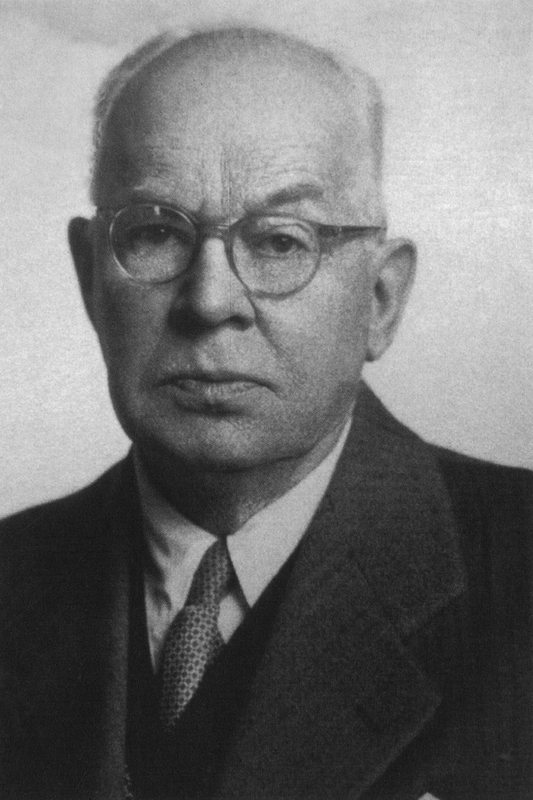 Koehler continued his scholarly work until his death on November 3, 1959.